Action for Implementation of Environmental Laws by Shopping Malls in Ahmedabad by Paryavaran Mitra. Enquiry & action against 11 shopping malls in Ahmedabad for violating environmental laws. The emergence of a number of shopping malls across the city of Ahmedabad is a part of the growth of city as a mega city. This has greatly transformed many aspects of the life of urban Ahmedabad, such as employment opportunities, the rural urban divide, etc. These huge structures dote the landscape of Ahmedabad like never before, and have become the places where urban as well as rural families stroll in to spend time together, gaping at & being consumed in the imposed pride of this new face of mega- Ahmedabad & vibrant Gujarat. However, construction of these shopping malls, that take huge investments, cover large spaces of land in prime locations of the city, host hundreds of visitors every day & play the galleries to popular & expensive brands of a variety of products, do pose threat to the environment of urban & rural Ahmedabad. These environmental hazards are in the form of loss of land & vegetation, affect on the health of people, especially poor people living in slums around. Also importantly, contraventions of laws as acted upon by these malls concur to financial loss to the state government, which is indeed public money. This financial loss is in the form of money paid by government to cover up for damage caused by non- confirmation of laws by these commercial houses. Following are the details of the case, what were the violations that were objected to, what actions were taken & what were the final outcomes. Environmental Clearance is a mandatory permission required to be obtained prior to construction of business premises by all commercial projects. Following malls in Ahmedabad were identified to have defaulted on this legal norm & running their business without obtaining Environmental Clearance. The malls had been constructed & started business without obtaining environmental clearance. Despite the fact that all these commercial complexes fall under the purview of the mentioned clause, none of them applied for the same. The companies (owning/managing the malls) who subsequently applied for and/ or obtained Environmental Clearance did so as per the amendment of 2006 in EIA Notification, instead of the amendment of 2004, which was technically incorrect, as construction of all the malls in point had commenced while the clauses of older amendment were still applicable. This allowed the companies to give the important procedure of public hearing amiss, as the later amendment omits this step from the mandatory ones. This obviously held to the benefit of the companies, while negating the relevance & opportunity of public participation in an issue that impacted their environment. None of the commercial complexes had applied for NOC (No Objection Certificate) /CCA (Common Consent & Authorization) certificate of GPCB. Rs. 50,00,00,000/- (Rupees Fifty Crores) or more, require Environmental Clearance. The strategy was to seek information, make use of Right to information Act as final resort to obtain information, to create & maintain pressure on concerned departments to take action against the violating commercial bodies, and make use of media to ensure that the authorities enforce compliance of aforesaid environmental laws by the commercial establishments. If the complexes had obtained BU permission or not? If the complexes had obtained NOC/ CCA or not? If the complexes had applied for and/ or obtained Environmental Clearance or not. Paryavaran Mitra asked for information as to which of the mentioned malls had applied for environmental clearance. It was followed up till the requisite information was received. Notices were summoned to the malls by GPCB, the authority responsible for regulation of environmental norms among commercial establishments, the management of these malls responded with clarifications and/ or initiating action to comply with this aspect of environmental law. Acting upon the queries of Paryavaran Mitra, GPCB conducted surveys/ studies of malls, in terms of their compliances with environmental norms of construction & operation. Reports of these surveys/ studies were provided to Paryavaran Mitra. Certain malls were given clearance by GPCB that notification clauses were not applicable to them. 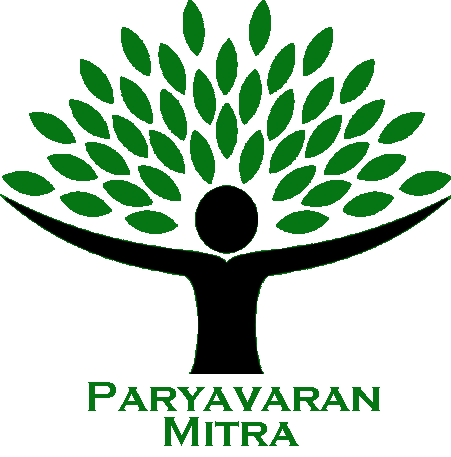 The establishments who did not respond to the notices summoned by GPCB, Paryavaran Mitra enquired as to what action had been taken against them. Certain malls responded with the argument that they were not covered under the clauses of the 1994 notification and hence did not require to obtain Environmental Clearance. Paryavaran Mitra asked GPCB if such undertakings as mentioned above b certain mall managements have been verified with the notification clauses. Paryavaran Mitra offered its suggestions/ comments on the survey report provided to it & on the minutes of the public hearing of those who applied for EC. The malls identified to be falling under the notification clause were finally asked to apply for & obtain the EC. Following malls offered arguments to claim that they were not covered by the notification clause. The preliminary outcome, as mentioned, was that malls applied for & obtained Environmental Clearance. The others were set in the process of doing the same. Enforcing authorities to bring the shopping malls on the course of complying with law, however, did not ensure that specific clauses of law were abided by the malls. For e.g. malls obtained Environmental Clearance but they did not plant the requisite number of trees or started to generate any solar energy for their consumption, which they are required to do as per the notification. Nevertheless, the fact that these commercial establishments acceded to the call of authorities and asked for being cleared by law on legal norms is an important achievement. Also that today they are covered under the notification & having it in their hands means that they can now be directed to follow the clauses of notification. The ripple effect was that similar efforts to ensure compliance of environmental laws by shopping malls are now being made in other parts of Gujarat also. This on the whole, is making an impact to ensure greater accountability on the part of commercial establishments for the environmental conditions of people amongst whom these set-ups are erected. This outcome also has social, economic & ecological benefits for the government as well as people. As per the notification, the shopping malls are required to plant 5000 trees thereby compensating for the loss to vegetation caused consequent to the construction of malls. If they are not covered under the notification, they can not be directed to provide this vegetation cover, in which case, either the surrounding areas suffer due to lack of vegetation, or else the government steps in and spends funds to do the same to avoid/ control the damage to environment caused due to decrease in the vegetation cover. As per the notification, the shopping malls are required to generate with their own efforts 5% of their total energy requirement as solar energy. If the shopping complexes fulfill this responsibility under law, it will mean proportionate less pressure on energy availability in the city. Land covered up by these structures leads to loss of grazing land, the result of which is increasing population of stray cattle on streets & roads, which again turns out to be state department’s responsibility to manage. In many cases such construction has lead to displacement of poor and/or rural population, resettlement & rehabilitation of whom is responsibility of the state, which again requires financial resources. Increased resources thus available can be used for further purposes, will ease the pressure on funds & other resources & will only boost the situation. There are many more such examples. Social Gain:With coming up of many shopping malls across the city, it’s the poor people & slum dwellers who are worst affected. They are the worst hit when there is need for space to construct these buildings, as they are the first ones to be displaced & have the least scope for redressal of their issues pertaining to such displacement. Unchecked construction without any prior permission or participation of public in planning leads to choking of water during rainfall (aggravated due to poor drainage system in the city). This causes flooding of shanties & slums which results in spread of diseases. Other difficulties faced by everybody due to choking of drainage system are well known. Loss of grazing land is a huge setback for rural people, as it puts them in disadvantageous position on three counts- one, they have to organize feed for their cattle from other sources for which they need to spend money, two, cattle straying on roads & streets are more prone to diseases & infections, and consequently, weak cattle is a liability for the owner who anyway is resource-strapped. Therefore, by enforcing environmental norms on the commercial complexes, state authorities are able to control the damage/ loss of land & vegetation and health of particularly the poor. Ecological Gain:The ecological gains are hence evident. Putting a tab on falling of trees, receding water table, discharge of pollutants in water, spread of diseases and enhancing the use of renewable solar energy by enforcing legal provisions for the same will result in ecological benefits & batter management of environment in the city. If certain portion of energy is obtained through solar means, it amounts to proportionately less production from thermal plants which lead to lesser carbon emission (thermal plants also emit carbon). Thus, plantation of trees & use of solar energy for generation of electricity- both put together, contribute to mitigating the negative impact of climate change. This case demanded efforts & constant follow up that spanned over 2 years. Paryavaran Mitra had a rationale to have invested the time & resources in this issue that prompted the organization to raise it with concerned authorities. Paryavaran Mitra intervened as there were clear ecological factors which would have negative impacts on the environment of the city. It was the poor people who were the most affected group. This was targeted to ensure compliance of law & to plug the gaps in law by moving the state authorities.